When you want a used vehicle it’s important to you to make sure the model you choose is one that will give you the driving qualities and longevity you need. 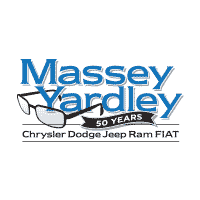 This is why you need to see the team at Massey Yardley Chrysler Dodge Jeep Ram Fiat in Plantation, FL. This is the Dodge dealer with the selection you want so that you can have the right vehicle for your driving needs on the roads around Hollywood, FL. Come in and see what this team has for you. 2015 Jeep Patriot Sport – As an affordable used Jeep SUV, you’re going to love the drive and be ready to hit the roads in this impressive model. Take a look at the low price and low miles of this Patriot and take it for a test drive when you see the team at this Dodge dealer. You’re sure to be ready to take this SUV home to Hollywood, FL for your daily driving today. 2013 Ram 1500 Tradesman – Here is a gorgeous pickup truck that has the power you want and the ride you’ve been looking for. Make your way to this Dodge dealer near Hollywood, FL and take a look at this amazing pickup truck. If you’re looking for a truck that can get to work for you, this is the right one for you to take for a test drive and feel the power offered. 2016 Dodge Journey SXT – When you want an SUV that fits the family and gives you an enjoyable ride, this can be the perfect choice for you. Take a look at this used Journey at this Dodge dealer and fold the seats down to see the cavernous space in the cabin that you can fill with gear or materials that you need to take home with you to Hollywood, FL. 2015 Dodge Grand Caravan American Value Pkg – Do you need a minivan that can offer you the spacious and comfortable room inside for your entire family? If so, you’re going to be amazed by this used Dodge model you can drive and experience out on the roads around Hollywood, FL. Come in and take this vehicle out for a test drive and have a great ride today. 2016 Jeep Compass Latitude 4WD – Let this compact SUV show you just how impressive it can be when you take it for a test drive from this Dodge dealer near Hollywood, FL. You’re going to be glad you chose this vehicle and took it home with you when you feel how active it can be when you take it out on the road to be the one you make use of on a daily basis. Come in and see the team at Massey Yardley Chrysler Dodge Jeep Ram Fiat in Plantation, FL and find the right vehicle to drive in Hollywood, FL today.